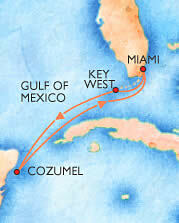 Rose Tours has negotiated a special rate at the Marriott Biscayne Bay Hotel and Marina. We recommend arriving a day prior to avoid any possible flight delays which could cause you to be delayed for your cruise. The rate is only $149 per room per night plus 13% tax. You could also extend your stay if you desire. The rooms can accommodate up to 4 guest with 2 double beds. Rooms are limited so book now! Experience everything Miami at Marriott Biscayne Bay, a luxury hotel in Miami, FL. Located at the intersection of Downtown and Miami Arts District, the Marriott Hotel offers waterfront accommodations with a gorgeous view just minutes from the Port of Miami. Enjoy fine dining and shopping at Bayside Marketplace or wander through the hip Art Deco District. Entertainment at nearby Adrienne Arsht Center for the Performing Arts features opera, jazz and symphony performances. With a $17 million renovation, our luxury Miami hotel rooms are designed to make your stay enjoyable. Rooms feature laptop, MP3, and video connectivity. Biscayne Bay Marriott offers convenient hotel amenities with a new state-of-the-art fitness center with Miami Bay views. Meetings and social gatherings in this Miami hotel include over 17,000 sq of event space, high-speed Internet, catering and audiovisual equipment. 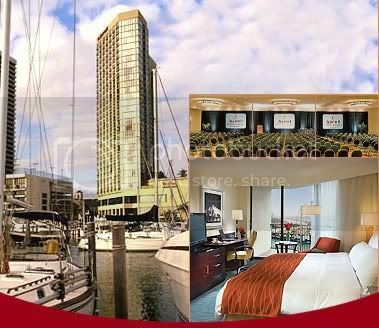 Make your next vacation or business trip a South Florida getaway at Biscayne Bay Marriott Hotel in Miami.